This post is sponsored by Lee Jeans. As always, all thoughts and opinions are my own. It wasn't until college that I truly realized just how important music is to me. Growing up in Nashville, I was surrounded by it. I grew up with my mom working in the music business but it was so much more than just that. It's jam sessions on back porches with friends, live music everywhere you go and an inspiring creativity that echoes throughout the city. Music truly is the heart and soul of Nashville. Even if you aren't a musician or directly related to the industry, it just becomes a part of who you are when you live here. I went to college at Ole Miss and one of the things I missed most about home was the concerts and constant sources of live music. Last week we took an afternoon to ourselves and started at the amazing Whiskey Row. The historic building is on the corner of Broadway and 4th Avenue and was previously home of Gruhn’s Guitars. Each floor of Whiskey Row has a totally different vibe. The first floor has high top tables and a live music stage. The second floor has a Nashville-meets-Vegas vibe with booth seating, bottle service and a VIP section that overlooks the dance floor. The rooftop is one of my favorites and it's also the highest one on Broadway. It's rare that we just take an afternoon stroll downtown and we enjoyed ourselves so much. It's crazy to think that people come from all over the world to experience the history and music that's here in our own hometown. Music is a huge part of what moves me, and I'm excited to be partnering with Lee Jeans for their #MoveYourLee campaign. 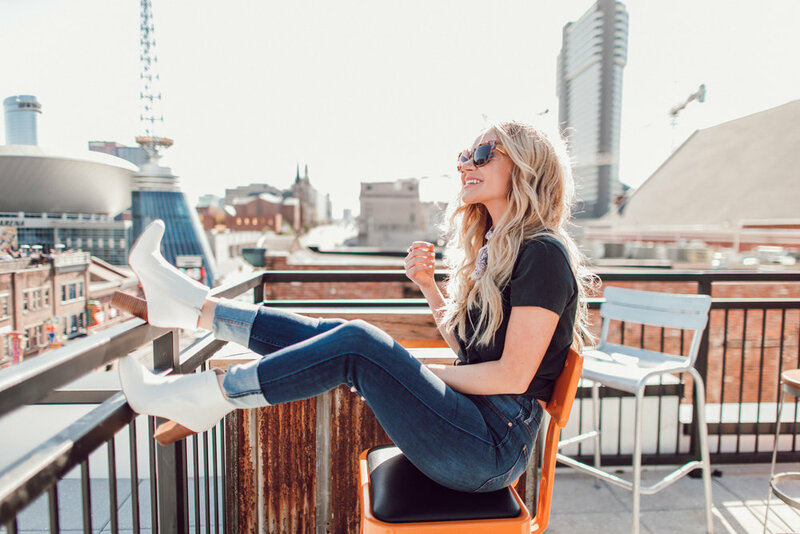 These Scarlett Jeans are the ultimate high rise skinny. I'm in love with the quality and fit. (And trust me, I am super picky about denim.) My favorite thing about Lee is that they're so timeless. My mom used to wear a similar style back in the 80's. I love when fashion comes full circle! 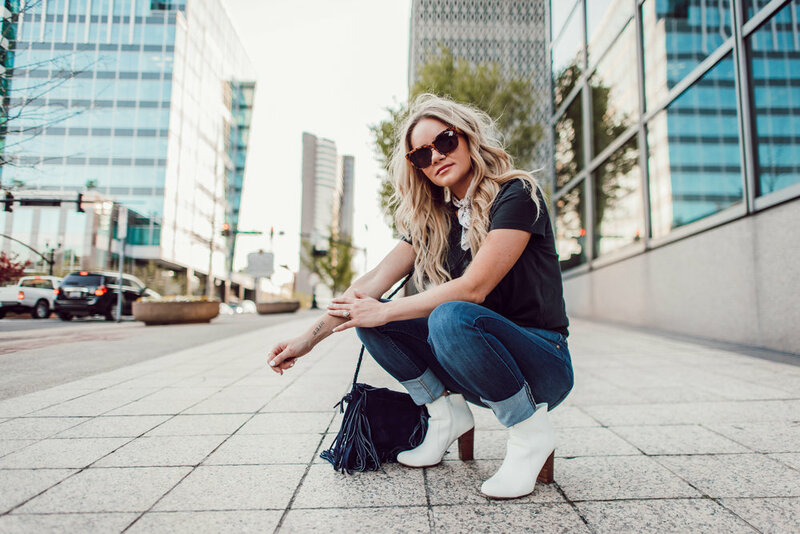 These jeans and this graphic tee are both part of Lee's Europe Collection and are great staples to have in your closet. Have you ever worn Lee Jeans? What's your favorite style?